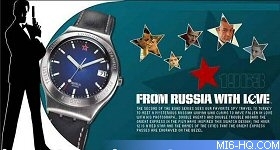 Collectors information for the first phase of the James Bond 40th Anniversary series of watches released by Swatch in 2002. 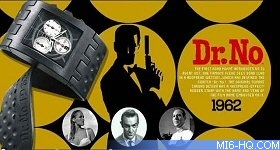 In 2002, Swatch unveiled a series of James Bond theme watches. 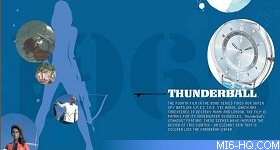 The famous watch designer was commissioned to design 20 watches, one for each film, to celebrate 007's 40th anniversary. 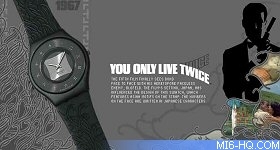 Each watch came complete with the "007 40th anniversary" logo on the box or a special sleeve, the "007" logo on the strap loop, and the name and original release date of the movie engraved on the strap. 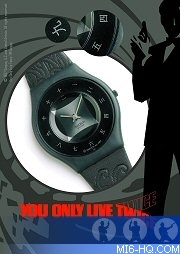 These watches were limited in number and are now highly prized collectibles. 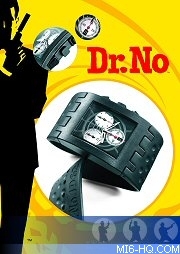 The watches were released in four phases of five watches, with the first wave celebrating Sean Connery's run from "Dr No" (1962) through to "You Only Live Twice" (1967) on 20th March 2002. 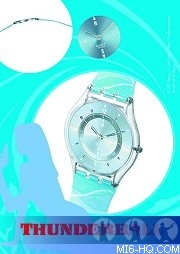 Each of the phase one watches was designed by Swatch in 2001 and released as part of their 2002 spring/summer collection. 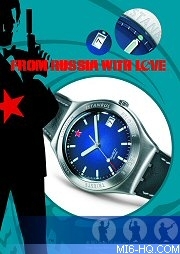 The From Russia With Love model is an Irony Big with a dark blue face with red star set at 12. Features: a stainless steel case and rugged black leather strap accented with white stitching; silver tone buckle; date, glow in the dark hands. 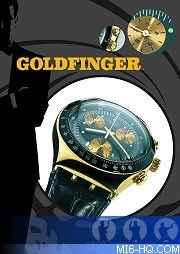 The Goldfinger model was is an Irony Chrono with black dial with gold accented markings for seconds and minutes. 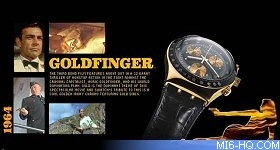 Features: white circular markings for hours; black metal bezel inscribed with tachometer; gold tone chrono function buttons and crown; textured black leather strap; glow in the dark hands.